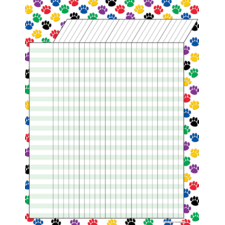 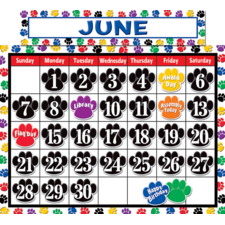 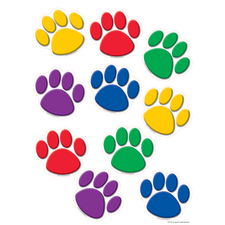 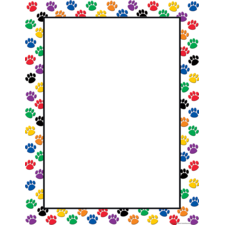 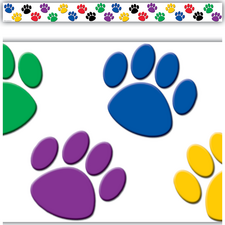 The adorable paw print calendar is 24" x 18" and comes with easy-to-read numbers pieces, colorful monthly headers, and additional pieces for holidays and special occasions. 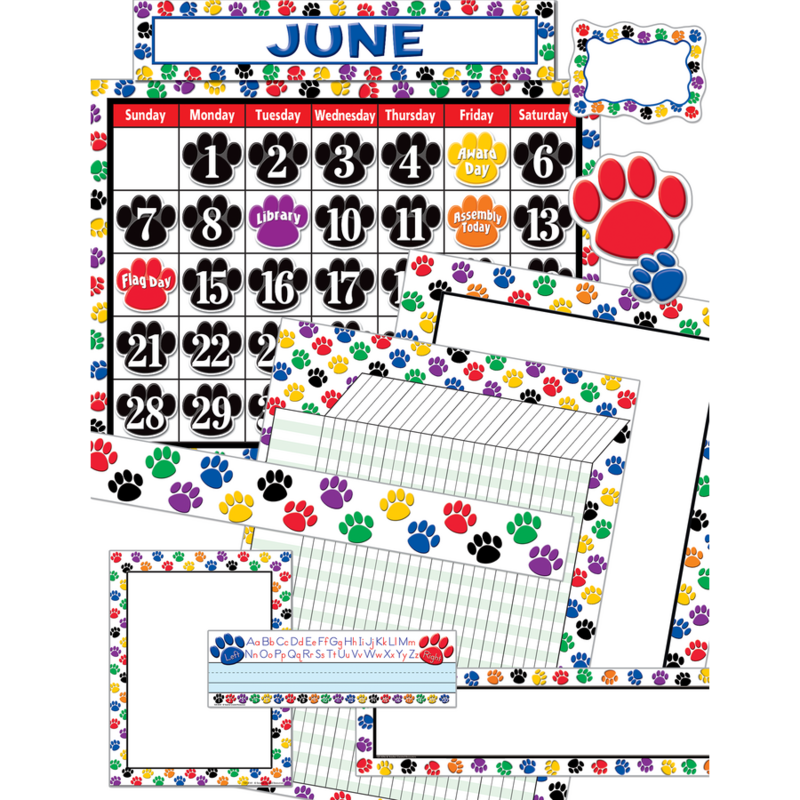 The calendar includes 68 UV coated pieces. 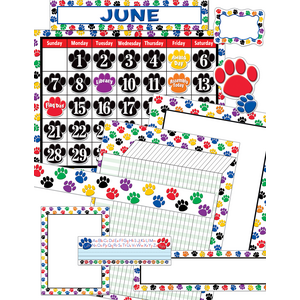 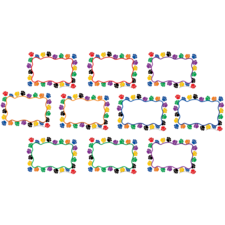 The matching accents, cards, incentive charts, border trim, and paper complete the set.